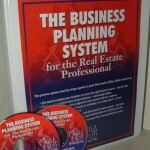 Business Planning: Got your Lead Generating Plan Ready for 2011? During November and December, I’m focusing on business planning in both of my blogs. Look for ready to use checklists, processes, and systems. Let’s all get great plans for 2011! What’s your lead generating plan for 2011? We all love it when some seminar guru tells us we just have to take care of our present and past clients and we’ll get rich. The first part of that statement is true. We DO have to take care of our present and past clients, and that’s an important part of re-creating our business. And, the sad truth is, many real estate agents do a very poor job of that. So, we do start there. But, what if you don’t have enough ‘potentials’ from those sources? You must look further. Here’s where the difficulty comes in. In many instances today, a real estate agent, even a seasoned one, does not have enough past clients to provide the necessary leads to grow his business in a challenging market. My experience, having been a top salesperson, and directly managing hundreds of salespeople, has taught me that reaching your monetary goals starts with enough lead generating sources. 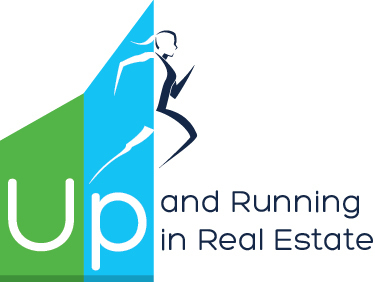 You must have at least 100 active, identifiable past clients, in your up-to-date database, to drive your business upward. And, in some markets, that may not be enough. In my resource for the experienced agent, On Track to Success in 30 Days System for Experienced Agents, I’ve worked really hard to help experienced agents see where they’re ‘missing the boat’. Too many get stuck in a career rut. Or, they may put barriers in front of themselves that keep them from reaching that next career level. Besides helping them put their careers under a microscope to find solutions, I’ve also provided solutions that work in this challenging market–including a lead generating plan. I have identified 5 sources of leads for you that most agents never think of. They are especially good for experienced agents, because you have been in the business and you have a wealth of knowledge and experience. Putting these sources of leads into your lead generation and marketing plans will dramatically increase your business. In this blog, let’s talk about the first source, the ‘client orphans’. What are client ‘orphans’? These are buyers and sellers who closed transactions with an agent in your office. The agent has left the business. Now, the client has no one to turn to. You can step into this breach. If you need business, and are willing to create and implement a marketing plan to reach out and communicate or time with these ignored people, you can ‘adopt’ them. Who is keeping in touch with those ‘orphaned’ buyers and sellers? No one. Be aware, though, they may not be too accommodating when you first talk with them. They are disappointed that someone has not cared enough about their interests to keep in touch. (This is a great lesson to all of us. Never, ever, love ‘em and leave ‘em!). Note: A recent survey showed that less than 1/3 of agents who closed transactions went back to the buyers and sellers they worked with AFTER the transaction closed. No wonder clients think we love them and leave them. We do! When someone leaves your office, go to your manager and get a list of their ‘orphaned’ buyers and sellers. Call those people, and explain that the manager has asked you to keep in touch. They will be thankful and appreciative. You will gain another source of business, and the industry’s image (and the company’s image) will be maintained–or raised. Manager’s tip: Create a system to re-assign those orphaned buyers and sellers to an agent willing to form a relationship with them. If you do this regularly, you will save lots of marketing dollars (remember, it costs 6-9 times more to get a new customer), and you will increase your company’s reputation as a company who cares. Also, you will provide lead sources regularly for your agents. You and I both hate it when a client says the agent didn’t get back to them or keep in touch. Many times, that’s because the agent was either an uncommitted part-timer or out of the business. By adopting client orphans, you can prove that real estate agents care more than just a commission. This not only raises your image, but the image of your company and of the industry. Plus, it provides you another source of ‘leads’ who learn to love you. Your business review: Figure out where your business came from last year. Do you have enough potential sources from those ‘target markets’ to reach your goals for next year? If not, you’ll need to add more sources. Do it the easy way. Get all the templates, guides, and advice you need to create a great plan for 2011. 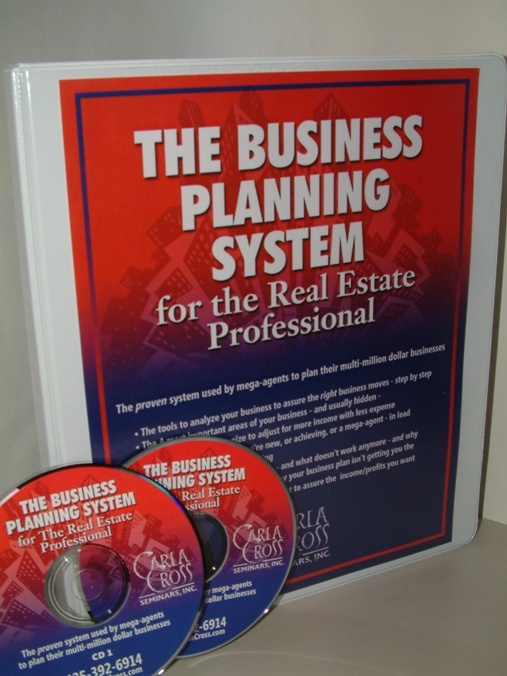 See The Business Planning System for the Real Estate Professional–special pricing through December, plus a business planning bonus webinar. How Valuable is that Lead?